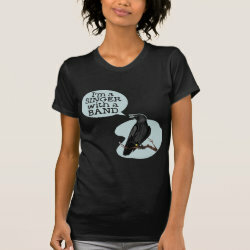 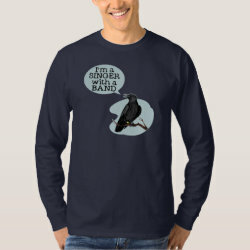 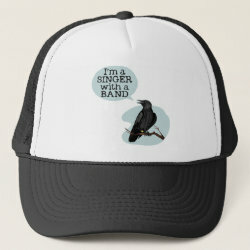 This clever design for bird banders features an unidentified bird, probably in the corvid family, having fun with a play on words. 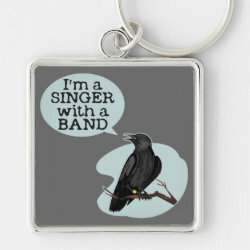 The avian rascal More... says "I'm a Singer with a Band." 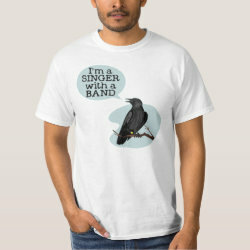 Sure enough, Wings McFlysalot is sporting some bling - a bird band. 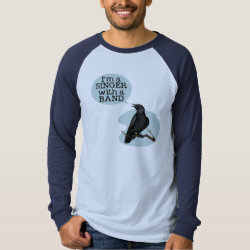 What's cooler than being a singer with a band, after all?